Monticello, NY - Gov. David Paterson is urging the interior secretary to approve two Indian casino projects in Sullivan County. In a letter, Paterson urged Secretary Ken Salazar to reverse a January 2008 decision by the Bush administration rejecting the St. Regis Mohawk and Stockbridge-Munsee Band of Mohican proposals in the Town of Thompson. Both tribes have reached local impact deals with Sullivan County. The Stockbridge-Munsees have actively pursued their casino in Bridgeville since the decision, while the Mohawks walked away from their partner, Empire Resorts. The Mohawks have recently announced, however, that they are negotiating with Empire to reboot efforts for a casino on land next to the Monticello Gaming & Raceway. Former Interior Secretary Dirk Kempthorne imposed a distance test, rejecting casinos too far from reservation lands and not within commutable distance by tribal members. “In 2001, in response to the devastating economic impact of the September 11 attacks on New York State, state legislation was passed to allow up to three Class III Indian gaming facilities in the Catskills region,” Paterson wrote. “In keeping with the intent of this legislation, the projects put forward ... would promote economic self-sufficiency for both tribes, while breathing new life into Sullivan County’s extremely depressed economy. “The economic development potential associated with these projects is the stimulus these tribes and this area of the state desperately need,” the governor said in his letter. These two casinos are badly needed to stimulate economic development in the Monticello area. They would provide badly needed jobs and boost the value of nearby lands. Most importantly, it would provide frumme yidden with somewhere to go with their families on motzi shabbos for some fun and relaxation. will stimulate the economy even further when all heimishe moisdos will have to look for new places. so many yiden gana make mill. of $$ if that is gano happen. avrey one will gane of this think. all dvellpers and investors ! B'H the casino has been thwarted until now. It'll bring R'L Yidden off the derech and society in general recognizes it as a scourge. #4 you're so right and it's so foolish that #2 would think of taking his family to a casino.first of all it's assur.secondly gambling can be highly addictive and has become a wide spread problem in the frum community.ialso ''stimulating the economy'' needs to be achieved in a manner that won't destroy lives. #2 was speaking sarcastically. He doesn't mean it literally. How come the Rebbes allow heimisha mosdos to run Chinese Auctions which are essentially the same gambling casinos? Finally Patterson is fighting for something GOOD, and all the Communists in NY are ready to fight him on it. Gambling would be fantastic for NY. Casinos are all about free enterprise and capitalism at its finest! 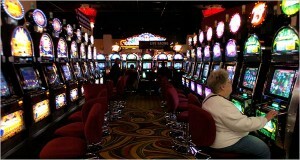 It will generate huge revenues for the state and every business around the casinos. If it were up to me, Broadway would be FULL of casinos paying taxes to NY. Stop taxing hard working people and build businesses that generate taxable profits. This will create THOUSANDS of jobs right from day one. If any of you had half a brain in your heads you would be looking for property up there on which to build kid-friendly activities. There will be millions of people bringing BILLIONS of dollars and anyone who wants to can grab a piece of that action. For the first time EVER, I support the Governor 100%. “ Finally Patterson is fighting for something GOOD, and all the Communists in NY are ready to fight him on it. Gambling would be fantastic for NY. Casinos are all about free enterprise and capitalism at its finest! 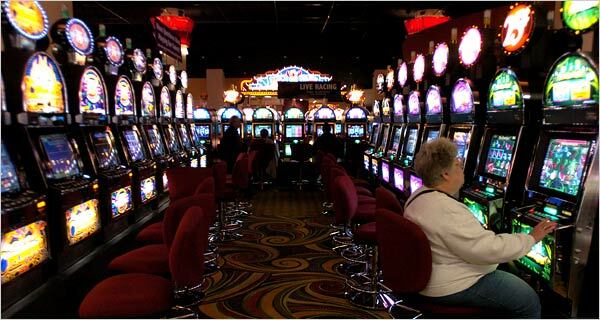 It will generate huge revenues for the state and every business around the casinos. If it were up to me, Broadway would be FULL of casinos paying taxes to NY. Stop taxing hard working people and build businesses that generate taxable profits. This will create THOUSANDS of jobs right from day one. just one tiny little problem with your whole derusha, the INDIANS DON'T PAY TAXES, so there goes your whole speech. There are already casinos in New York State. Many times I've driven past the one in Yonkers by the raceway and I've also driven past the one in Niagara Falls. The one in Yonkers has not improved life in either Yonkers or neighboring Mount Vernon, both of which have neighborhoods that look worse than anything in the South Bronx. And Niagara Falls, NY is an economic disaster area, one of the most depressing places you will ever see. And gambling addiction is terrible for the people involved, especially for their families. The state should not be promoting this. i can think of other ''businesses''that would promote free enterprise and make a lot of money for some people but you certainly wouldn't want them in your neighborhood.the point being that not every thing can be measured by how lucrative it is. Genious Governor finally realizes that Sullivan County is repressed. As with everything else in Sullivan County this will take years to be debated and again little or nothing will come of it.The one casino there is barely hanging on. Technically, you are correct. However, as is the case here in FL, the state has to build the roads and infrastructure to support the casinos. To accomplish this, the casinos make profit-sharing deals with the state. This is how the state "taxes" the casinos without really calling it a "tax". The new deal being worked out here in FL for the expansion of our casinos will bring massive revenues to the state. It is things like this that keep our taxes so low. Secondly, the businesses and hotels that will prosper around the casinos will bring in big tax $$$ for the state. Think of all the jobs that will be created that won't be paid for by your tax dollars! It is a win-win all around!